Boaz stood sadly at the threshold of Bethlehem. He looked with some historical anger at where one of the gates had been. Enterprising thieves, and there must have been many of them, had removed the large oak door years ago. The wood of the remaining door had since rotted, the metal hinges and brace rusted. It swung at an odd angle to the stone enclosure, creaking irritably in the cold dry autumn wind of the Judean Hills. Decades before, on his wedding day, these gates had held the Philistine hordes for a few critical minutes. His uncle Ploni, with his own body, had defended this gate. The Philistine battering-ram had smashed the gate and with it, Ploni’s bones. Ploni’s body had healed but his spirit had been dampened since that day. The gate had been easier to fix, Boaz reflected ruefully, thinking of his still-bitter uncle. Boaz looked at the stone base of the gate with its holes for the pivot and bolts of the doors. Dust of many sandstorms had filled the holes. Boaz used his walking stick to clear the hole, a subconscious part of him preparing for the refurbishment of the gates in some hard-to-discern future. His sword weighed heavily in its scabbard at his side. His tired muscles could no longer reach behind his back, where he used to wear his sword in his youth. Half a dozen disheveled men approached the gates of Bethlehem. They were young, scarred and brawny and carried an assortment of rusty swords, axes and a mace. 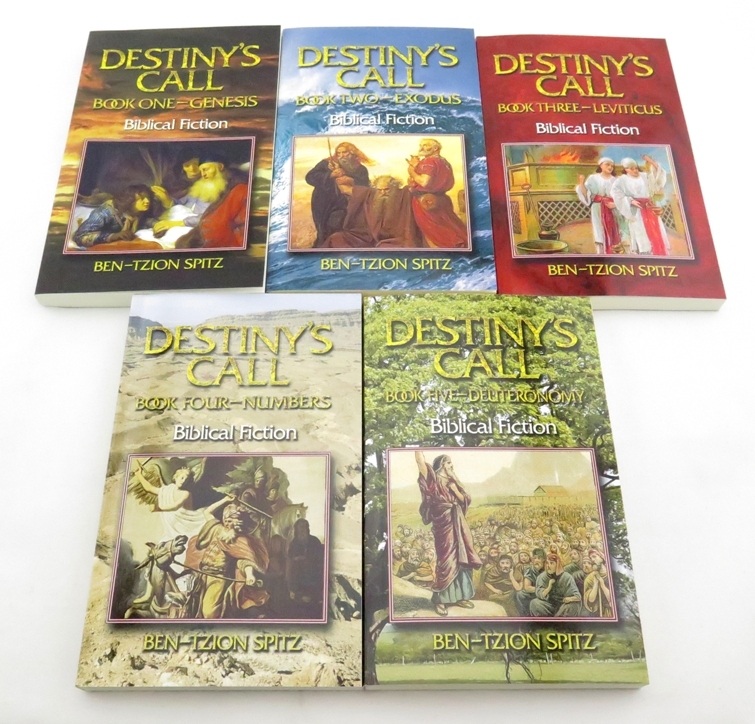 Boaz stood up taller at the entrance, his walking stick in one hand. He unsheathed his polished sword with the other. “Get out of the way, old man,” said the leader with the mace. “What is your business in Bethlehem?” Boaz asked, not budging. “Do you know who I am?” Boaz asked. Drupleg and his men laughed maniacally. “Oh, that’s good, old man.” Drupleg wiped the tears from his eyes. “We haven’t had such a good laugh since we hung that farmer outside of Hebron. Now get out of the way or I’ll crush your skull.” Drupleg raised his mace. Faster than anyone expected, Boaz slashed at Drupleg’s neck, beheading him in one fell swoop. Drupleg’s men took a step back, looking wide-mouthed at Drupleg’s crumpled body and his rolling head. The men dropped their weapons and scattered, never to be seen in Bethlehem or its environs again. As soon as the men were out of sight, Boaz leaned heavily on his walking stick, breathed deeply and turned into Bethlehem, leaving Drupleg’s carcass for the hyenas that seemed to come closer to his beloved city every day. “Here, Noni. Here.” Vered pointed her arthritic fingers at the shy tulip peaking behind a large oak. They were scavenging in the forest outside of Bethlehem. Ten year-old Noni ran to where Vered had indicated. Her pockets and sack were filled with pine nettles, wild millet and emmer grains, and a handful of bulbs. Noni sank her dirty fingers into the hard earth and dug firmly but carefully. “I don’t remember what bread tastes like,” Noni mentioned absently. Vered and Noni laughed. Vered spotted some fava and horse beans and directed Noni to gather them. The forest was a cornucopia of hidden nourishment. It wasn’t tasty or pleasant. It took Vered several spoonfuls of coriander and black cumin to give some flavor to the tasteless food – but it sustained them. Vered felt that the famine had gotten worse since Elimelech had abandoned them. She thought frequently of Naomi and wondered how they were faring. The miraculous blessing Naomi had experienced in her house had not repeated itself by anyone else. Many families had followed Elimelech’s example and departed. They went to Ammon, to the Philistine cities and most commonly to Egypt. “Abraham went down to Egypt when famine struck,” they would say. Boaz had stopped exhorting to them God’s prohibition against the Children of Israel returning to the home of their enslavement. Vered had become the city’s savior. She discovered roots, wild grains and beans they had never eaten before. She had an uncanny instinct for finding these precious treasures and a talent for cooking them so that they were edible. Boaz had instituted communal meals in their home. The morning meal was usually a somber affair, having a quick cold meal from the meager remains of the evening before. The evening however, was more relaxed, with more food and socializing. Two dozen people would show up, bringing the results of their own foraging. Vered took the time to show her guests the new bean or bulb she had found and explained how the others could hunt for them. Occasionally a young child would find a wild berry. Most had learned long ago which the poisonous ones were. One evening, in the autumn of the ninth year of the famine, Ploni, Boaz’s uncle, arrived at their home, but without his wife, Ledah. Ploni looked at the crowd in a bit of a daze. Elders sat with Boaz at the long table. Youngsters sat on the floor. “Is Ledah coming?” Vered asked Ploni. “She doesn’t have the strength,” Ploni answered, sounding grumpier than usual. “I’ll bring her some food,” Vered said. “Thank you, Vered. That is most kind of you,” Ploni whispered hoarsely, a single tear escaping his eye. Vered grabbed a bowl and filled it with dried gruel. She mashed it finely with a spoon, knowing Ledah’s difficulty to chew. Vered was shocked to see how much Ledah had deteriorated in one day. The smiling old woman had laughed quietly at the breakfast meal that morning. She had trouble moving, but it hadn’t robbed her of her spirit. Now Vered saw the skeleton that Ledah had become. She lay on her bed, a thick blanket covering her. Loose folds of skin hung on her thin frame. Wisps of white hair remained on her head and her parched lips sunk into her toothless mouth. Vered, white-haired and arthritic, felt like a young girl next to her dying aunt. “Ledah, it’s me, Vered,” she announced. “I’m dying, not senile. Come here, child,” Ledah rasped. “I brought you some food,” Vered said, unable to keep herself from crying. “I’ll chew it for you, Ledah. Here.” Vered put a spoonful of the dry gruel in her own mouth and with precious saliva chewed the mixture into a sticky paste. Vered swallowed the gruel, grimacing at the dryness going down her throat. “Is there anything I can do for you?” Vered asked. Vered, with tears streaming down her face, kissed her aunt on the forehead. Ledah straightened her legs on the bed, closed her eyes, smiled and stopped breathing. Vered looked at her dead aunt and then rushed out of the house to breathe the air. She fell on her knees, palms on the hard earth and sobbed. One tear slithered down her chin and fell on the earth. The drop penetrated the ground. It traveled through dirt, rock and dead worms. It found a long dormant seed. The seed breathed a sigh of life. It sparkled in the depths of the dry earth, its casing growing rapidly until it erupted violently. The seed grew into a shoot, twisted and traveled to the surface of the earth with uncanny urgency. A small green leaf exploded out of the ground at Vered’s knees. The sky darkened with rain clouds and Vered heard a sound she had thought lost to the world forever. Thunder. A thin mist of moisture filled the air. Vered looked to the sky in awe. The mist turned into a drizzle. The drizzle slowly gained strength and size, as if the water had to remember how to fall from the sky. Then it rained properly, enough that there was water in Vered’s palm that she could lick. The rain then fell in sheets. It first fell upon Vered, drenching her with a surprisingly warm shower and spreading out radially from her to the town of Bethlehem, to the tribe of Judah and to all the tribes of Israel. Children came out into the streets and danced in the rain, splashing in the virgin puddles. Adults looked up, opened their mouths and their palms, trying to absorb as much water as they could. Elders thanked God and prayed that the rain would continue, that life would continue, that there would be an end to their travails. Vered found Ploni in the downpour. He stood quietly in the rain, tears mingling with the deluge. “She has gone,” Vered said. “I know. I felt it.” Ploni touched his heart. “Thank you. She suffered so much. And for what? And now that she has gone, it rains? God has been particularly cruel to me. Will you inform the others? I will return to Ledah.” Ploni walked home slowly, no longer feeling the rain. 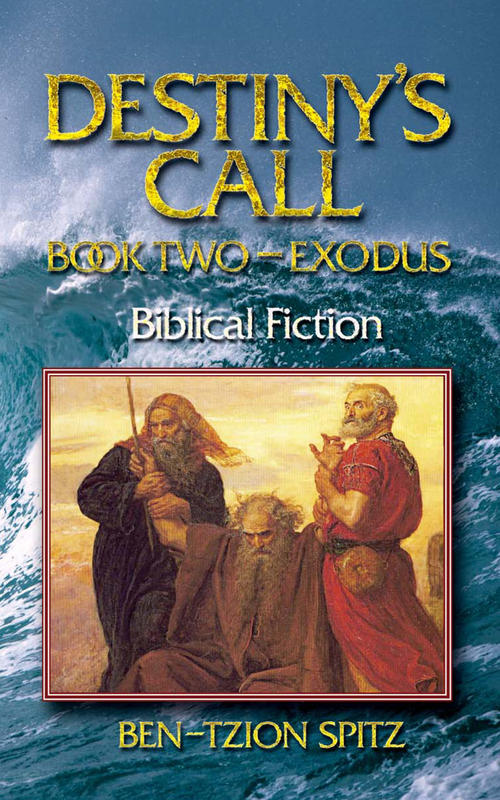 Boaz approached Vered with his walking stick in hand. They embraced, as children continued to jump in the newly-forming puddles. “Amen,” Vered said, thinking of Naomi and her children, the last descendents of the legendary Nachshon the Brave.